Posted April 4, 2018 by Bailey Heard & filed under Blog, FeaturedOnHomePage. Hi There! Hope you had a wonderful Easter weekend ☺ Ellie and I spent the weekend with my late husband, Andrew’s, sister and brother-in-law, and their three kiddos in Paris, TX. Eric is the Pastor of Immanuel Baptist Church in Paris, and we’ve gone to his church for the past couple of Easter’s. After the service, Ellie joins in with her cousins in their annual Easter egg hunt. It was so fun to watch the kids play together and get quality time with family. This year, Andrew’s parents were able to come, too, which made it even more special. This week I want to share a powerful session I recently had while coaching a real estate agent. Knowing how transformational the session was for her, she gave me permission to share it in hopes it might be helpful for you. A little background: A few months ago I started working at the Dallas Preston Road Keller Williams office as a Launch Coach for their real estate agents. I didn’t realize how much I missed coaching since pushing the pause button last year to focus on my mental, physical, and spiritual health. When I took this position I had a gut feeling I was ready to start coaching again. I also believed the value of my coaching would be so much richer from all I’d been through over the past five years. Even so, I was nervous to jump back into it, worried I’d forgotten my training or the skills and tools wouldn’t come to me. The opposite has happened. 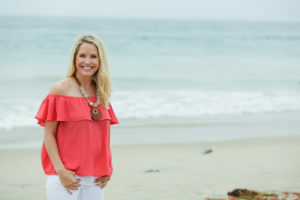 It’s all came back to me exactly when I needed it to, and this time, instead of being in my head, I’m able to be in the moment and trust God in guiding my intuition to ask the powerful questions that unblock the answers inside of my clients. The sessions have been more powerful and impactful than ever, and I’ve walked away from the time spent in support of my clients feeling helpful and fulfilled. The particular coaching session I want to share with you deals specifically with what to try whenever motivation is in short supply. This agent came to me unsure of why she couldn’t find the motivation to kick her business into high gear despite her finances getting tighter. She saw others who had somehow found the motivation to create change in their lives, and she wondered why she hadn’t been able to do the same. ME: Think of a time when you created urgency in your life in order to achieve a goal, one with a specific deadline. CLIENT: I wasn’t going to graduate college unless I passed Algebra. I wasn’t great at math, so I was worried I wouldn’t graduate. CLIENT: I found a tutor, went to the math lab daily, put math formulas all over the house, and practiced the formulas in the car, shower, everywhere. ME: You just gave me the formula to your success. Success leaves patterns and you just discovered yours. What is the equivalent of a tutor in real estate? ME: Yes. Where is your new daily math lab? CLIENT: Here at the office? ME: Yes. What would be comparable to your math formulas? CLIENT: The Buyer and Seller scripts we use to learn how to knowledgeably discuss our sales with potential clients. CLIENT (in shock and awe): What we just did in twenty minutes I’ve been trying to figure out for the past year and a half. I just realized confidence is the key to my success. The more I practice my scripts, the more confident I’ll be, and the more confidence I gain the more action I’ll take in reaching my business goals. ME: How are you feeling now? CLIENT: Bailey, I’m leaving here feeling so hopeful! The next morning my client was at the office at 8:30 AM with a couple of other agents, practicing their real estate scripts together. What specific steps did you take in order to meet the goal? How can you apply that same pattern (or steps) to your current goal? Hope this was as eye-opening and helpful for you as it was for my client and me. Thank you so much for spending time with me today! Always grateful for YOU! Love and Blessings. PS – I’d love the opportunity to come share my inspirational message at your next company meeting, church event, inspirational gathering, mom’s group, or wherever my message may be of value. Please email me at bailey@baileyheard.com. PPS – If you’re looking for a great and meaningful gift for your loved one, check out The Ellie Project! This is the sweet book my late husband, Andrew, wrote and illustrated during the final months of his life for our then two-year-old daughter, Ellie. It’s sold over 6,000+ copies, and continues to leave a lasting impression on the hearts of those who read it. Get your signed copy here.